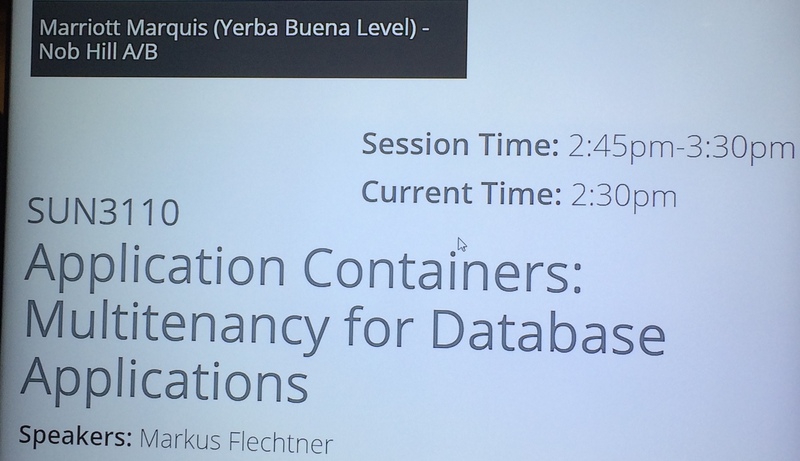 Today I had my presentation at the Oracle Open World 2017 on Application Containers. It was fun talking about the new feature of Oracle Database 12c Release 2. Thanks to all the attendents for coming to my session. This entry was posted in Common and tagged Application Containers, OOW17. Bookmark the permalink.